Jossey-Bass, 2010, Hardback in Dust Wrapper. Condition: Very Good+ — in Very Good+ Dust Wrapper. Includes the unopened CD-Rom to the rear pastedown. 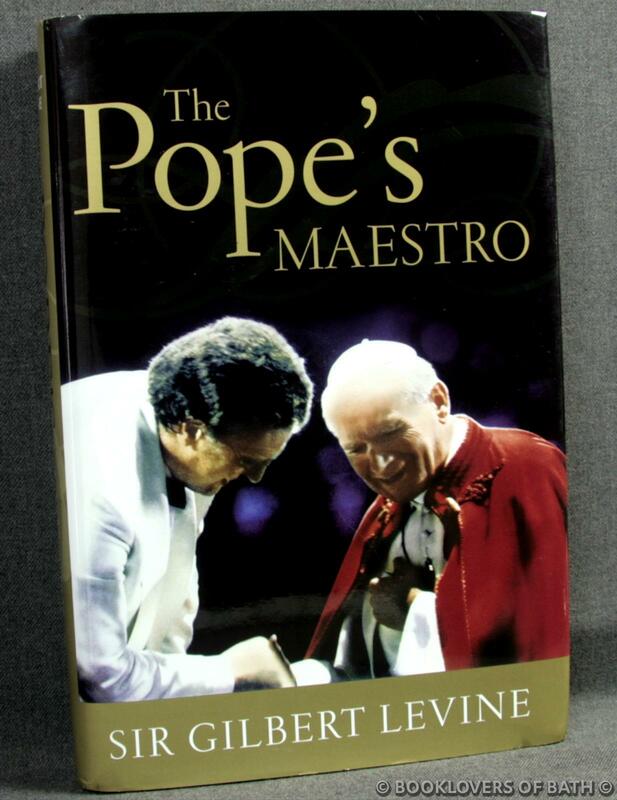 From the cover: “The Pope’s Maestro tells the inspirational story of a most improbable friendship between the American conductor Sir Gilbert Levine and His Holiness Pope John Paul II. Together they collaborated closely, over a period of more than seventeen years, using music to heal centuries-old religious wounds. Maestro Levine created and conducted a series of ground-breaking, internationally broadcast concerts. These musical events brought artistic form to Pope John Paul II’s fervent wish to forge an historic bridge first between the Roman Catholic Church and the Jewish people, and then, after 9/11, with the Muslim world as well. These efforts culminated in the Papal Concert to Commemorate the Holocaust in 1994 and the Papal Concert of Reconciliation in 2004. During his years as Music Director of the Krakow Philharmonic, Sir Gilbert had an insider’s view of Eastern Europe’s inexorable journey from Communism to freedom. And in the years following, he experienced the world of Pope John Paul in a way few lay people, and even fewer Jews, have ever been honored to do. That work, paradoxically enough, deepened Sir Gilbert’s own Jewish belief and practice. Foreword or introduction by John Tagliabue. Size: 9½" x 6¼". Black boards with Gilt titling to the Spine. [XVII] 407 pages.